When organizing Health IT Expo, we realized that not everyone would be able to join us in New Orleans. So, we wanted to find a way that we could include all health IT professionals in the event regardless of whether they can join us in person in New Orleans or not. 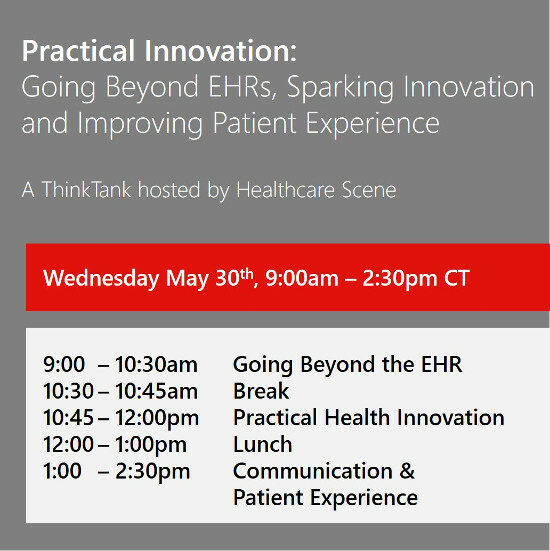 That’s why we’re excited to announce a FREE live streamed Think Tank event to kick off Health IT Expo on Wednesday, May 30th from 9-2:30 CT.
For those participating remotely, you can watch the live stream on YouTube, Facebook, or Twitter. Just visit those pages on the day of the Think Tank and the live video streams will be available. Another option is to bookmark this page where we’ll embed the live stream. We’ll be live tweeting the event on the hashtag #HITExpo if you want to follow along and participate that way as well. We look forward to having many in the Health IT Expo community join us for this live streamed Think Tank event. Plus, we’ll be monitoring the #HITExpo Twitter stream as well where those watching live can share their comments, questions, and insights. A big thank you to our live stream partner, StudioNorth, for making this live stream available.